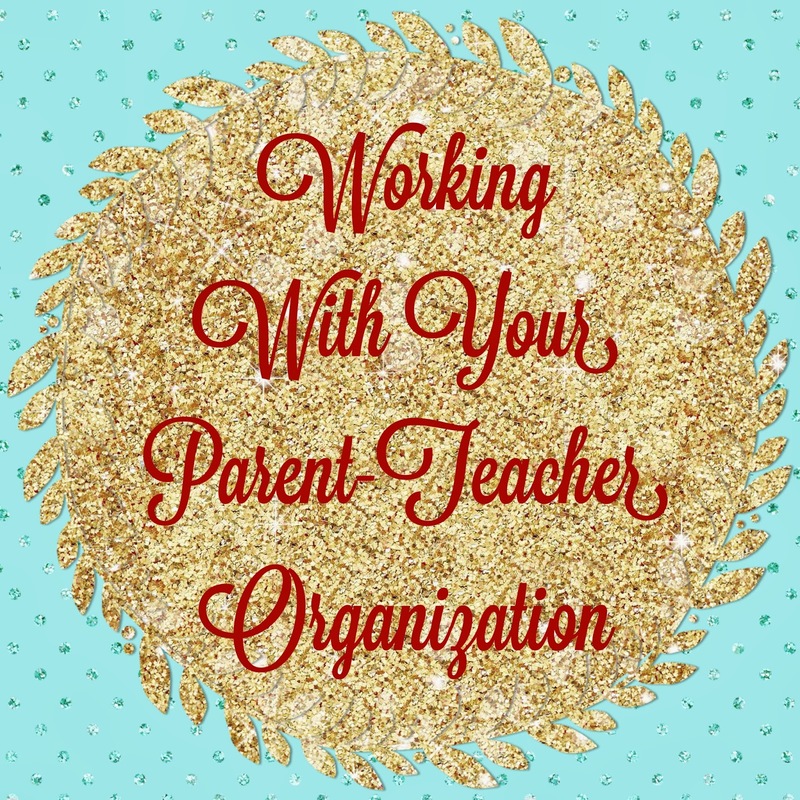 I love our PTSO (Parent Teacher Student Organization). They are really supportive of our schools and are always willing to listen and help with anything that is needed. I go to them a lot for different things, whether it is for help publicizing an event, volunteers for programs that are going on, and most recently for a donation. The PTSO has helped with our Clothing Swap by helping to volunteer with set up and helping others at the event. They reminded families to bring in their used clothes for the event, and they helped with publicizing by adding it into their newsletter. During the holiday season, the PTSO helped with our Giving Tree Program. They brought in some wrapping paper and helped buy for some of our tags that hung on the tree. When I was at the high school, I organized and held a Torch Night every year. Following the ceremony we had refreshments and PTSO always sent volunteers to help cut cake and serve the punch and cookies. I know they do this with a variety of different events, and their help is invaluable. As a department of 1, I am limited in the amount of hands I have, and having a few extra sets is really helpful. Yesterday afternoon I received my latest request. A commercial sized popcorn machine (along with popcorn and bags). The PTSO was very willing to purchase this for our school. Of course they asked why I wanted it, who would be able to use it, and how many kids would it serve. 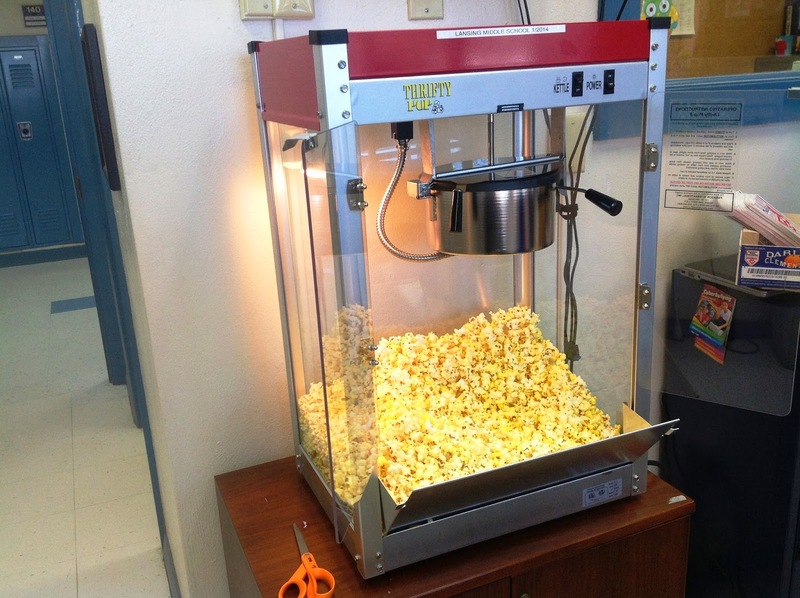 For me, the popcorn machine would help to get our incentive program off the ground. We (our school psychologist, principal, and I) have been thinking of ways to get kids engaged in school by giving them something to look forward to. We want to have monthly celebrations where we recognize students who have turned in at least 90% of their homework, have missed no more than 2 days of school in the month, and have had no referrals to our CPR (choices planning room) for poor classroom behavior. For students that meet these criteria, we would invite them to a celebration in the gym after school at the end of the month. At the celebration we plan to have music, popcorn, and games. Our goal is to have all our students attend. Today I smelled up the hallways with popcorn. After all, I did need to try out the machine. I needed to know how much it popped, how fast, etc. It is very fast, and 8oz of popcorn will fill 12 bags. 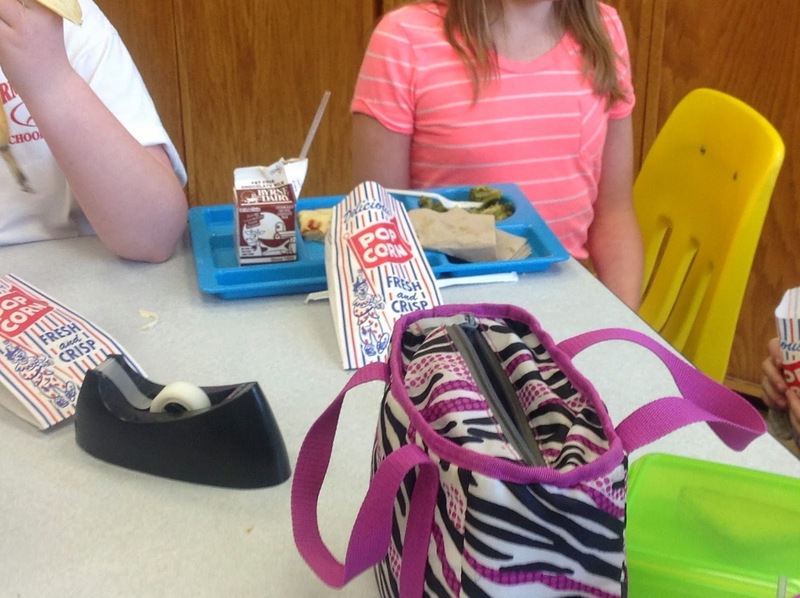 Lunch Bunch really liked the popcorn machine. They gave me their stamp of approval.